Former two-time UFC welterweight title challenger Stephen Thompson is currently awaiting his next assignment from UFC officials. “Wonderboy” was offered a fight with perennial division contender Santiago Ponzinibbio for next weekend’s UFC event in Brooklyn, but unfortunately for fight fans the hard-hitting Argentinian turned the bout down. With that, Thompson has recently turned his attention to former lightweight champion Anthony Pettis, who called “Wonderboy” out for a fight last week. While a bout with “Showtime” may not make much sense in terms of rankings, it is likely to produce a memorable scrap for fight fans to enjoy. Both men possess incredible striking skills, especially in regards to their respective kicking games. “Wonderboy” is arguably the best striker in the history of the UFC’s welterweight division. Thompson made his promotional debut in February of 2012, sporting a perfect professional kickboxing record of 57-0 with 1 no-contest. Courtesy of @BelowTheBeltMMA, fight fans are treated to watching one of Stephen Thompson’s sensational kickboxing knockouts below. During his UFC career, Stephen Thompson has scored impressive knockout victories over Dan Stittgen, Chris Clements, Jake Ellenberger, former UFC welterweight champion Johny Hendricks and current UFC middleweight title holder Robert Whittaker. In his most recent outing at May’s UFC event in Liverpool, Stephen Thompson suffered a controversial decision loss to hometown hero Darren Till. 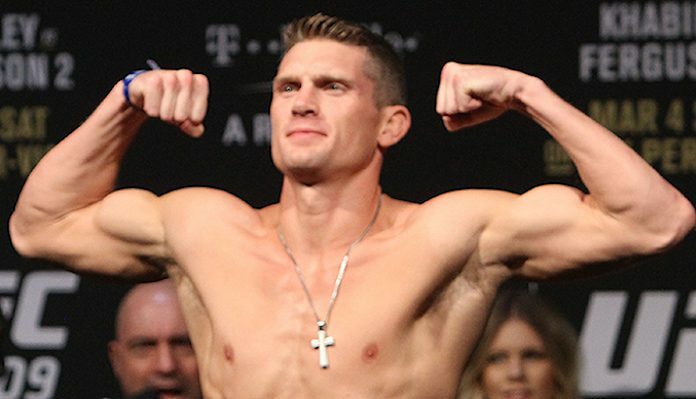 “Wonderboy” has gone 9-3-1 during his UFC career and is likely just a win or two away from once again challenging for the promotions welterweight strap. 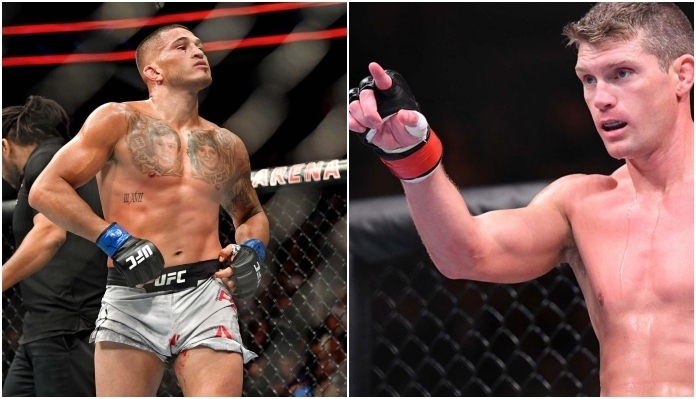 While a win over Anthony Pettis would likely not produce another title opportunity, it would give Thompson what he desperately wants… a fight!